I placed 2nd in this year’s “It’s Always Summer Poster Show” ya’ll! The show challenges artists and designers to make a poster based on a song that speaks to the summer. 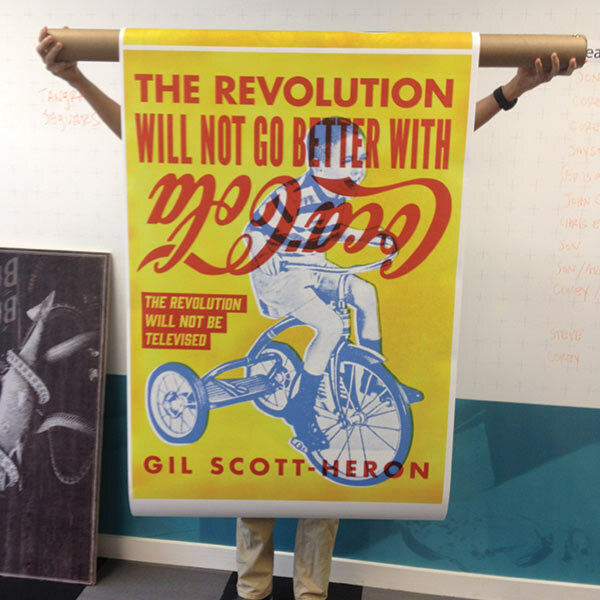 My poster design was inspired by Gil Scott Heron’s “The Revolution Will Not Be Televised”. It is an honor, was a ton of fun, and I’m excited to speak about my process for designing the poster during the Morning Leak this month. I would write more, but I don’t have to. Someone else did. Ya’ll are too kind, really.